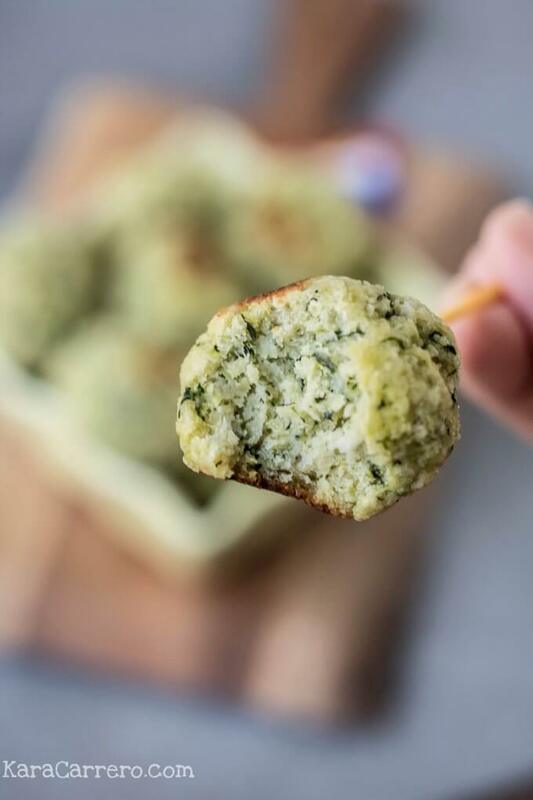 Bake up some spinach zucchini bites with your kids and you have a healthy and strangely sophisticated meal to share with your kids or a great party snack for when you have guests over. 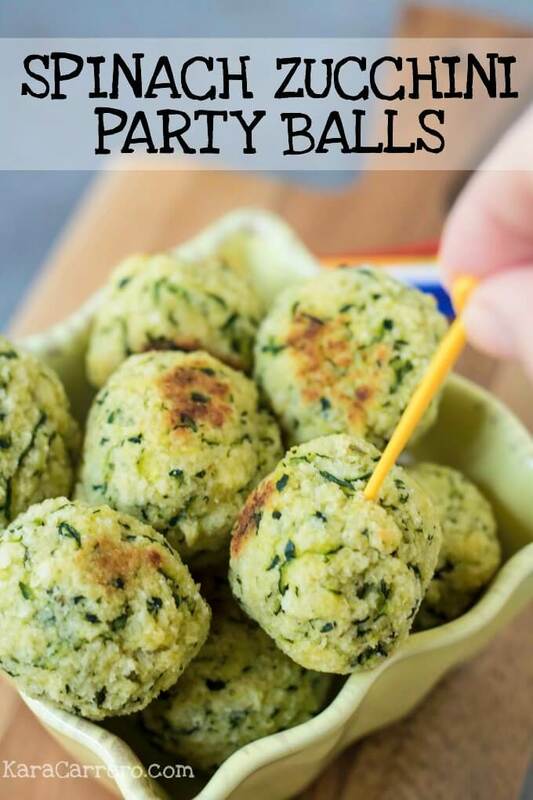 Whether you’re making these for a party with friends or just a party in your tummy, they’re a quick and easy food to cook up! Affiliate links included for your grocery and pantry shopping convenience. They can even make a great snack to pack when you’re on the go. 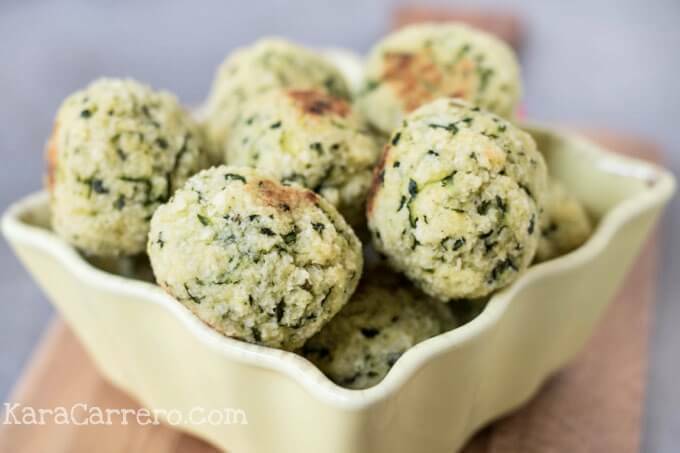 veggies into your kids’ diet or a way to impress your friends when they visit. 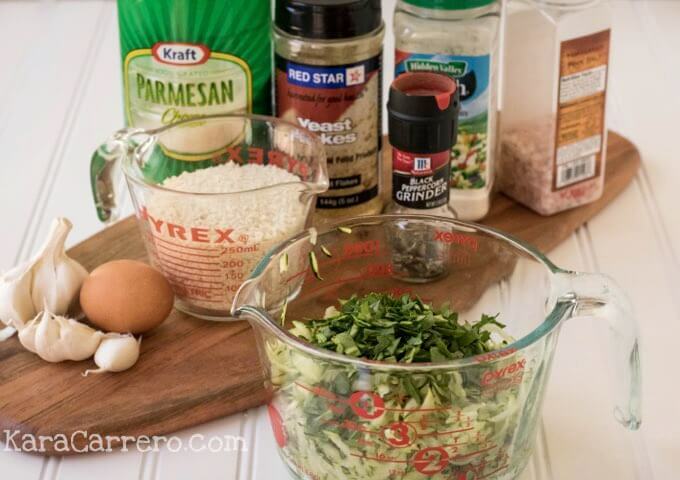 So let’s get cookin’! 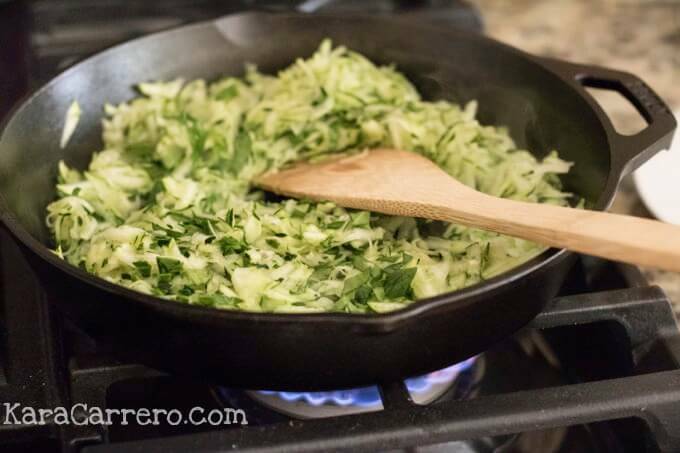 First, in a skillet with a little bit of olive oil, saute the zucchini and the spinach in medium heat. Put the zucchini mixture in a strainer and with a spoon I like to squeeze out any remaining liquid. 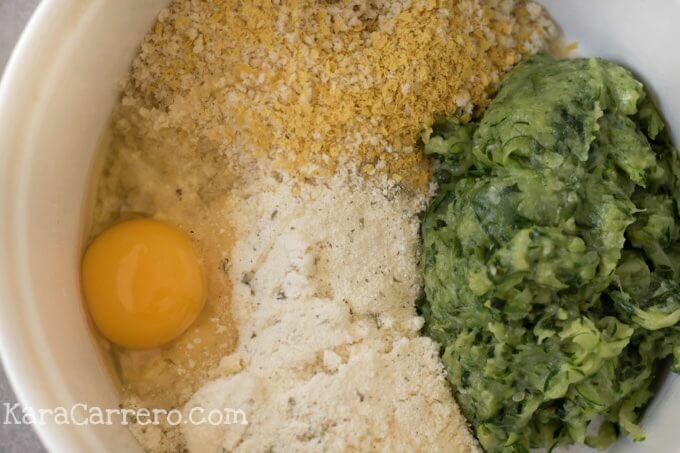 In a separate bowl add the rest of the ingredients and the cooled zucchini mixture. Spray a cookie sheet with non-stick spray. Mix everything together with your nice and clean hands. 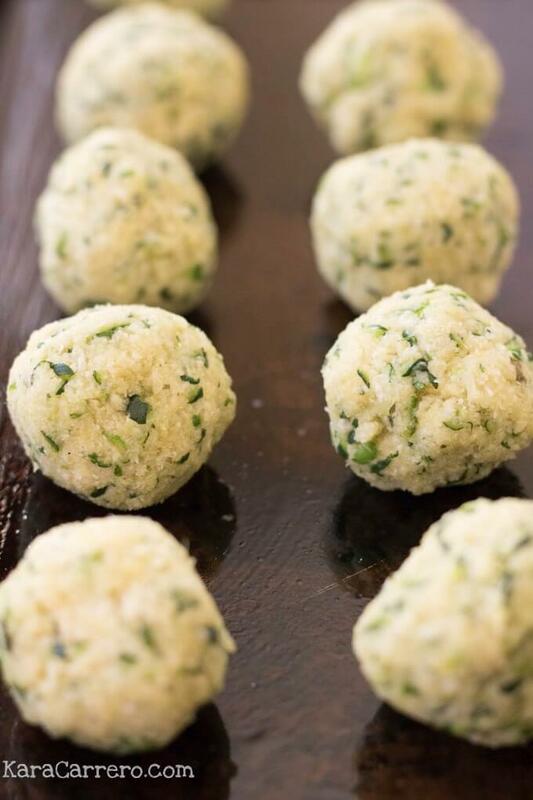 Form a golf-size ball and arrange them on the baking sheet. Makes about 8 balls. Brush a little bit of melted butter on top of each one, or spray it with some of the non-stick spray. Bake in preheated oven for 15 minutes or until they turn golden. Half way thru the baking process you may need to turn them over so they don’t burn on the bottom. 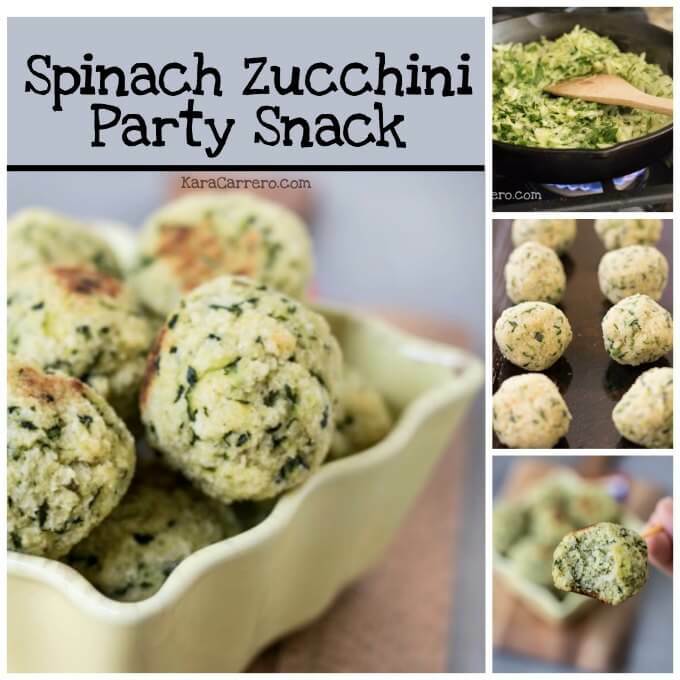 Enjoy your Spinach Zucchini Bites and serve warm at your party or pack them up for a picnic and day at the park!